The Automotive Industry is unrelenting in its introduction of new technologies. And this trend is set to continue. With ongoing developments in vehicle connectivity, further integration of hybrid and electric drivetrains, and the inevitable introduction of autonomous vehicles, our industry is changing like never before. Using cutting edge learning technology and our vast industry expertise, at Our Virtual Academy we support motor vehicle technicians in their endless race to stay up to date with these latest changes. Enhancing their knowledge and expertise and bringing manufacturer level knowledge and skills to the aftermarket. And there is no finish line; we are constantly updating and developing our entire knowledge base. As we release new modules, our subscribers have instant access to the updated content, naturally, at no extra cost. MISSION: To help technicians understand how systems work and how to fix them. 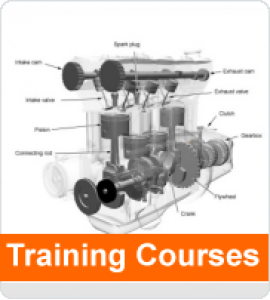 At Our Virtual Academy, we have one overwhelming desire, to help technicians understand systems and diagnose cars. With extensive Manufacturer based experience in automotive development, engineering, repair and training, we bring our vast knowledge and experience to you via our interactive learning modules. We all acknowledge that diagnosing cars is difficult; we know it, because we’ve done it. Time constraints and pressure on technicians are significant, so we wanted to create a learning system that makes life easier for the unsung heroes of the motor industry. What are the vital subjects of interest for a technician? What would make our training better? Can we explain this in a clearer way? How can we make this useful in practice not just in theory? Then, when we’ve worked through the options, we make it happen. Giving you the training you’ll find both interesting to watch, easy to understand and apply to your work, and in the subjects which matter to you. And we’re always open to new ideas and improving our knowledge base. So if you’ve got any specific requests don’t hesitate to ask. Our Virtual Academy at Professional Diagnostics Ltd LARGER WORKSHOP PLAN (6-10 USERS) Subscribers to our Larger Workshop Plan (6-10 Users) receive full access for up to 10 users to all of the course material and My Report Cards along with instant access to any additional training content upo..
Our Virtual Academy at Professional Diagnostics Ltd SMALL BUSINESS PLAN (2-5 USERS) Subscribers to our Small Business Plan (2-5 Users), receive full access for up to 5 users to all of the course material and My Report Cards along with instant access to any additional training content as it i..
Our Virtual Academy at Professional Diagnostics Ltd SINGLE USER PLAN BUSINESS (1 USER) Our Single User plan grants full access to all of the course material and My Report Cards along with instant access to any additional training content upon release. ..